I am a great fan of the winter sports resorts in Graubünden, and will be spending the Christmas period in the canton. It is probably the most complete ski and snowboard destination in the world, but it caters well for ever type of visitor – including the budget conscious. This season Graubünden once again has a range of excellent deals. The season starts on 18th October 2014 on the Diavolezza in the Engadine, which celebrates 150 years of winter tourism. On 22nd November, Corvatsch and Corviglia in St Moritz open. Progressively other resorts open, with Arosa, Samnaun, Flims Laax Falera and Davos Klosters opening in November. A great deal for getting there is the Rhaetian Railway (RhB) offer, “Railhit 2 for 1” in which two people travelling together from Monday to Thursday only pay for one if they are hotel guests or in self-catering accommodation. The offer lasts from 8th December 2014 to 10th April 2014. RailHit is not valid on a handful of special services, including the pass associated with using the Preda-Bergün sledging slope. For 35 SFr per person per day for visits of at least two nights, a ski pass is included with accommodation at participating hotels in and around St Moritz. 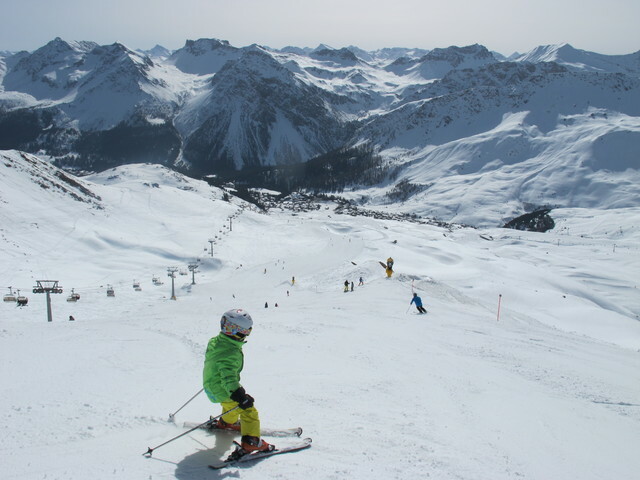 Arosa once again features the “Ski School Included” for youngsters staying in the resort, whereby lessons are available at no charge. Now linked to Arosa, Lenzerheide gives you a free lift pass if you book a stay at any time between 28th of November to the 20th December. 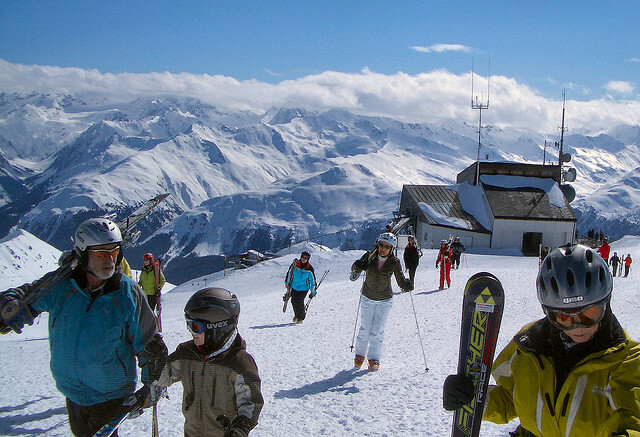 Up until 21st December 2014 you also get a complimentary ski pass for slopes in Davos Klosters for every overnight stay in a partner hotel in the area. From 20th December until 6th April the resorts are also offering a local insider to accompany you and show you the best of the mountains. Remember also that Ski Club of Great Britain members still can ski or snowboard for free with a Ski Club representative. More details on these and other offers are posted at the Graubünden Tourism website. There are also the usual range of budget options if you are going to Graubunden, with some excellent hostels and budget hotels. Check out the Winter Sports Accommodation Guide.